Another week, another freaky friday. 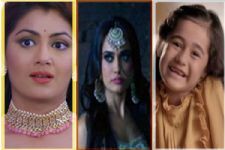 It's a wonderfully entertaining freaky friday today as we present to some shows which totally messed with our minds with a rather strange and eccentric storyline. Not that the current lot of supernatural shows aren't freaky enough, but some plot lines are tough to digest and even tougher to watch on screen. Sony TV show Sambhav Asambhav featured Sangeeta Ghosh, Shakti Anand, Vikram Gokhale and Pooja Ghai in the lead roles. The story revolves around the lead couple Sangeeta Ghosh and Shakti Anand who get married. When Shakti's father meets his daughter in law for the first time, he sees a glimpse of his dead wife in her and thinks she is an incarnation of her and hence develops a liking for her. Later in the show, a new character enters who spices up the drama further. Shakti's NRI friend enters his life and expectedly has feelings for her, but Shakti being a loyal husband rejects her feelings and hence she woos and gets married to his father as revenge. Now, that's freaky in real sense, isn't it? 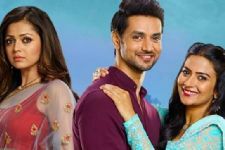 Aired on Imagine TV, Rakt Sambandh featuring Sriti Jha, Dhruv Bhandari and Naman Shaw had a really strange storyline too. The story of the show revolved around a visually impaired young woman who overcomes the difficulties of her life with the help of her four sisters and a doting father. But the twist in the tale comes when she finds her father dead in mysterious conditions on her wedding day. Not just that, after her marriage the deep and dark secrets of her husband's family are revealed to her. The story drastically takes a turn from a slice of life drama to a totally freaky dysfunctional family unfolding their dark secrets. We're sure you remember this show as it is the most recent one. The show revolves around the life of a young girl Diya (Tejasswi Prakash) who fulfills the wish of a dying man on his death by taking the responsibility of of an orphan boy, Rata Maan Singh by marrying him. But, the bizarre part is that the boy is only 9-year old and the girl is 18 year old. She agrees to marry him to be his protector for lifetime. The weird storyline also irked a lot of people and it also faced a lot flak for normalizing child marriage. Which one of these shows did you find the freakiest? Do you have any other shows with such bizarre pot lines? Do share with us in the comment section below.